This is beautiful- Please put it on sale? Beautiful!!!! Yes I would also like in a Font. 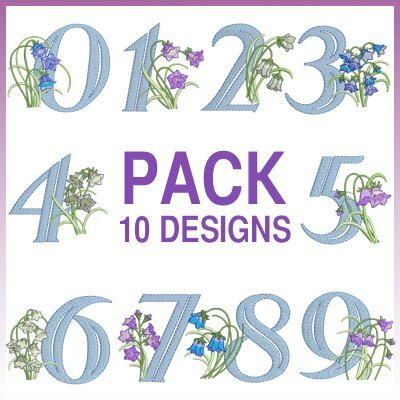 this is a beautiful collection of numbers; I would love to see an alphabet in the same style of font without the flowers (plain or maybe with some other embellishments) - it would be a nice font for men's things; thanks again for all your very skillful creativity.